The improved serum with Aquarich and shea butter provides the skin with a long-lasting extra dose of moisturising care. Dry skin feels soft and smooth again. 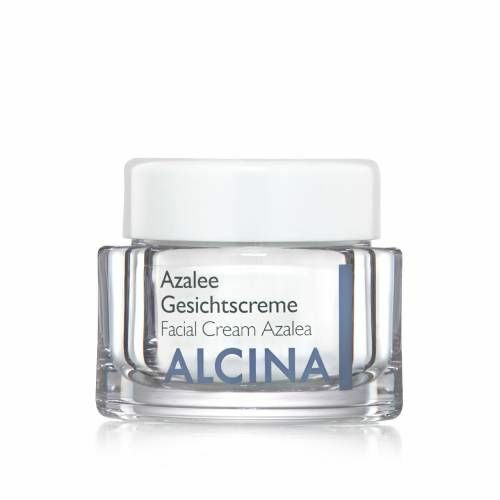 DescriptionThe Alcina Facial Cream Azalea supplies demanding skin with its premium care ingredients and increases the skin's natural resistance. The active formula of this rich facial cream with essential fatty acids (linoleic acid) helps to strengthen the skin's natural barrier. Thanks to the premium ingredients with just the right balance of lipids and moisture, the Facial Cream Azalea is ideal for facial skin which is prone to dryness and leaves it with a lasting soft and supple feeling. Caution: Contains oxybenzone. The Facial Cream Cenia from Alcina with urea, L-arginine and white tea extracts immediately remedies any moisture deficiencies associated with dry skin and prevents any feeling of tightness. The nourishing and moisturising facial cream to combat dry skin is quickly absorbed. The Alcina Facial Cream Viola with the active ingredients guaiazulene and vitamin E soothes irritated skin. The rich nourishing lipids contained in the Facial Cream Viola reduce itchiness due to dryness, prevent scaling and provide long-term moisture for sensitive, dry skin areas. The Alcina Facial Cream Fennel with fennel oil and vitamin E has been specially developed for the needs of cracked, rough and flaky skin. The long-lasting nourishing texture of the fennel cream has been specially developed for the needs of extremely dry skin. 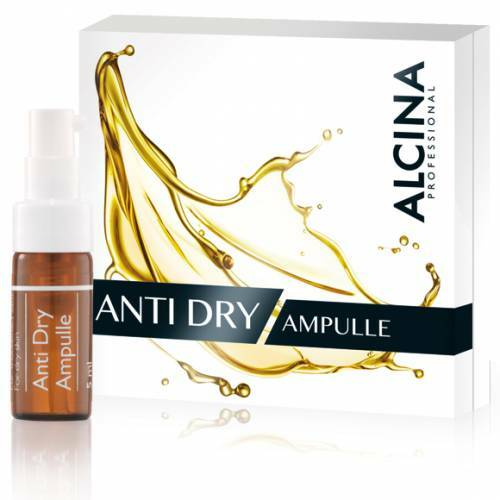 The active ingredients contained in the Alcina Facial Cream protect the skin from drying out even when exposed to extreme weather conditions such as very low temperatures and strong winds; the skin is left soft and smooth. 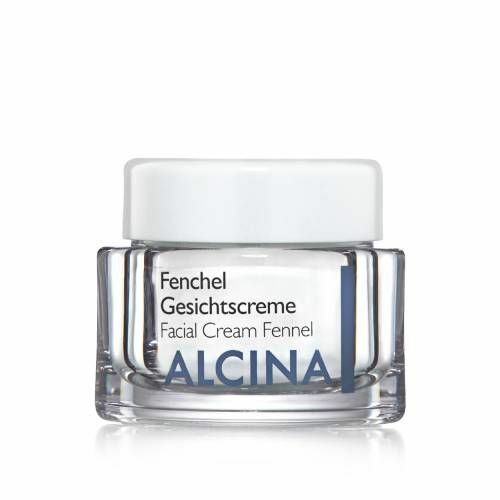 The Alcina Facial Cream Myrrh moisturises and nourishes skin damaged by dryness. The nourishing facial cream for dry skin impresses with its rich formula and high lipid content thanks to its essential fatty acids such as linoleic acid, hop extracts and nourishing beeswax which cares for and protects the facial skin. The Facial Cream Myrrh is thus the ideal facial care product for reducing wrinkles caused by dryness and for moisturising dry skin. Thanks to its buttery consistency the Facial Cream Myrrh from Alcina enriched with premium ingredients melts into the skin upon application and repairs damaged skin straightaway leaving it soft, smooth and supple again. The rich texture of the Rich Anti-Aging Cream from Alcina optimally cares for skin upon application. Natural, regenerative ingredients such as mimosa and exotic cupuaçu butter guarantee a more even and radiant complexion. In combination with hyaluronic acid and black cohosh, moisture loss is prevented in the long term. The result: fewer lines and wrinkles for a radiant look. 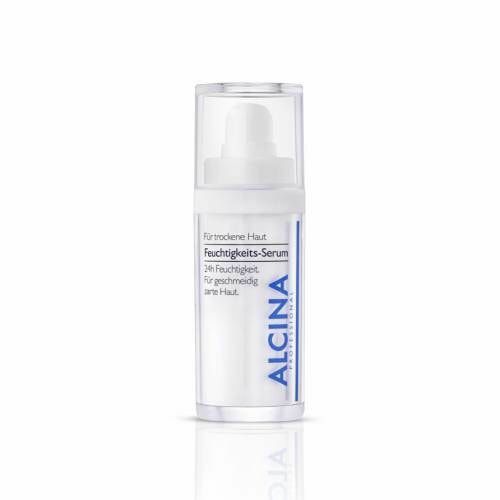 Alcina Rich Anti-Aging Cream strengthens and protects the natural lipid barrier. If used regularly, the skin becomes noticeably firmer and smoother, the formation of small wrinkles is reduced. The unique active ingredient complex is the key to a youthful, fresh and finer complexion. 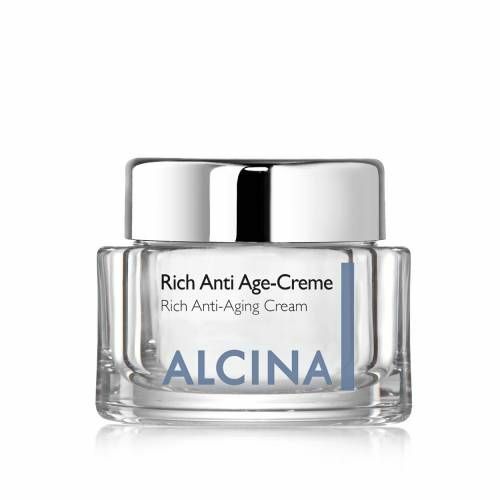 - The Rich Anti-Aging Cream from Alcina is the key to radiant beauty, even for more mature skin types: the intensive care product with active anti-aging ingredients. For anyone wanting to smooth away wrinkles caused by dryness and make their rough, coarse skin feel soft and look smoother again. Just a few drops immediately make your skin silky soft and smooth again.